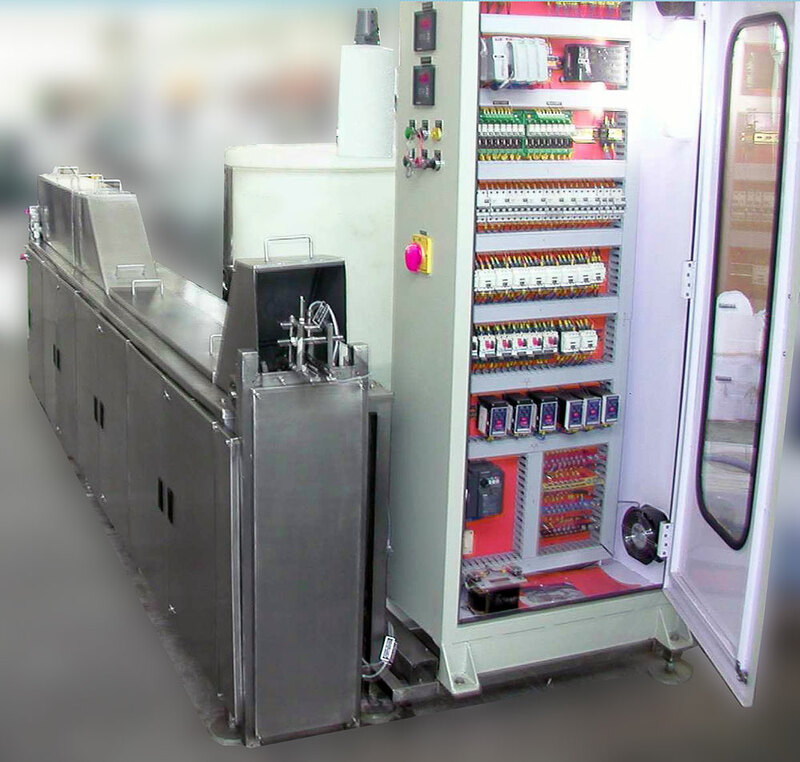 In-line machines are those that process product in a relatively continuous, uninterrupted product flow, as opposed to batch processing machines that process product in discrete loads, or batches. 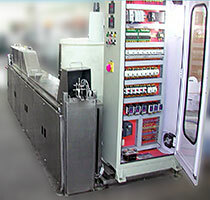 In-line products can be continuous, such as wire products, or a flow of individual parts continuously conveyed through the cleaning process. 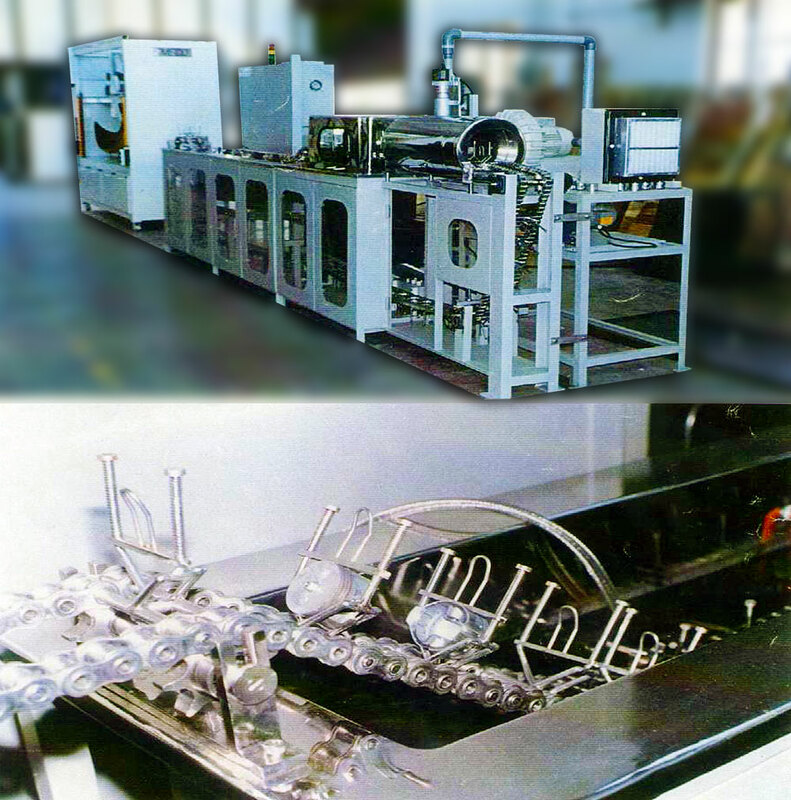 Continuous flow systems can be integral to the manufacturing production at any point within that manufacturing line or they can be a separate off line system for cleaning or processing. 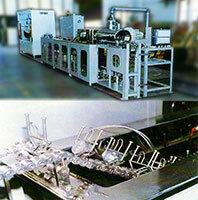 W3 personnel have been innovating, applying and building continuous flow machines for over 40 years. 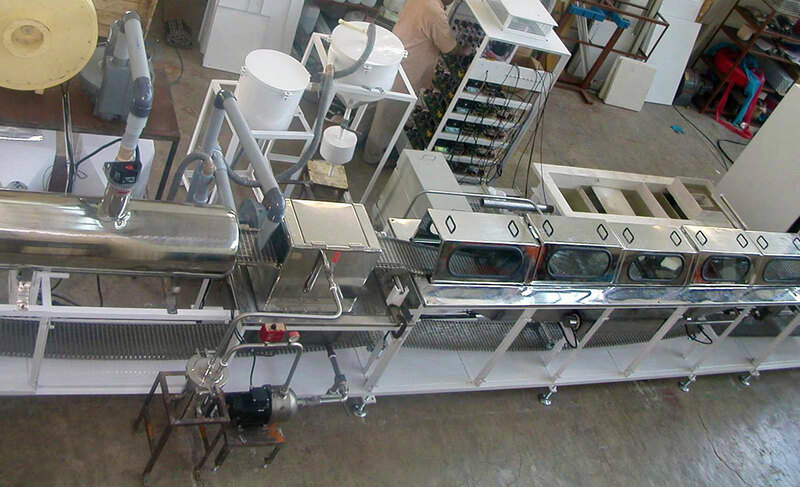 The scrubbing action usually involves high power ultrasonic action rather than abrasive, or surface impingement, with sprays and immersions for wetting, rinsing, inhibiting, wipe or coating process stages. 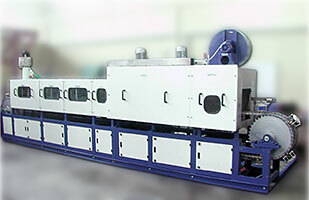 A variety of machines is available for in-line processing. 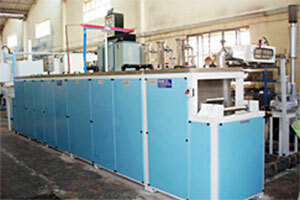 Active or Passive handling of product (ie. 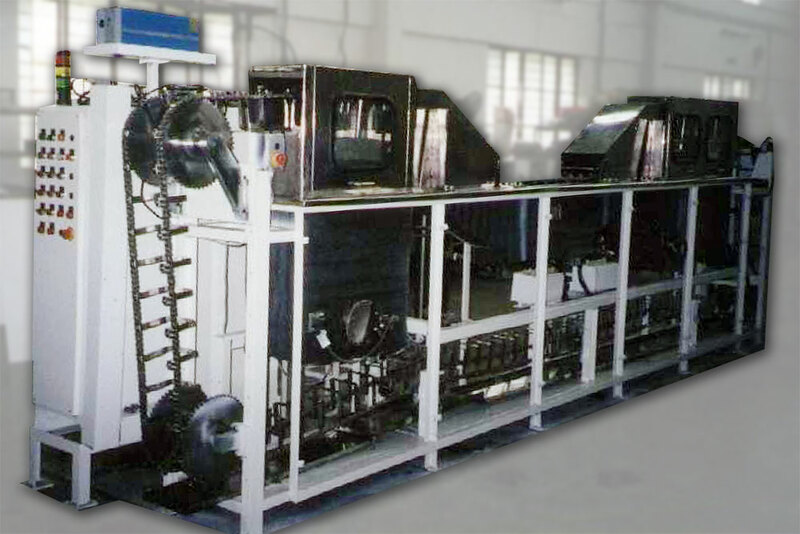 touching or not touching parts with cleaning equipment) are options dependent on the user equipment immediately preceding and following the W3 cleaning machine. 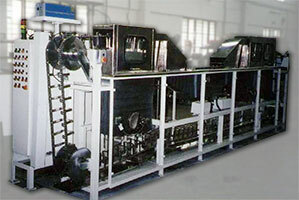 Single path or multi path product flow machines, such as in wire processing, can be supplied for the same process. 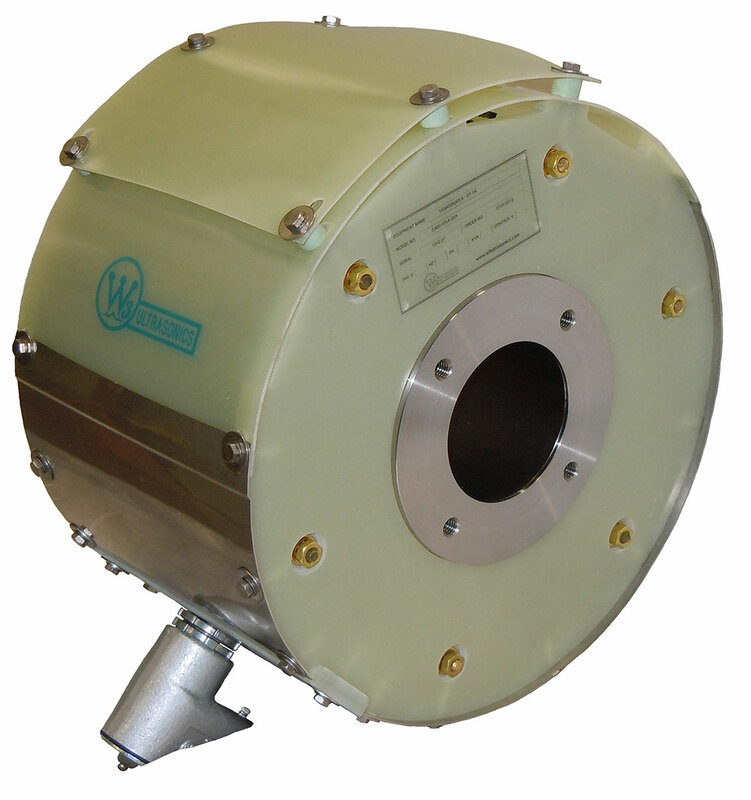 W3 Surround ultrasonic transducers are used with single path products, such as wire; however, multi-path products can sometimes also be accommodated. Surround ultrasonic transducers allow for cleaning at high speeds up to several hundred feet per minute. 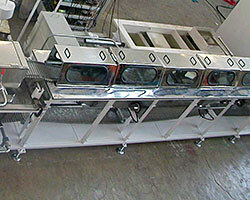 Surround products are also used for cleaning in tunnel configurations where individual parts are conveyed through the various cleaning stages continuously. W3 Shallow Bath machines are uniquely applicable for multi path products, such as multiple wire strands or widely dispersed products. W3 Surround technology is used here to surround the product with highly intense ultrasonic cavitation power to clean quickly and thoroughly.